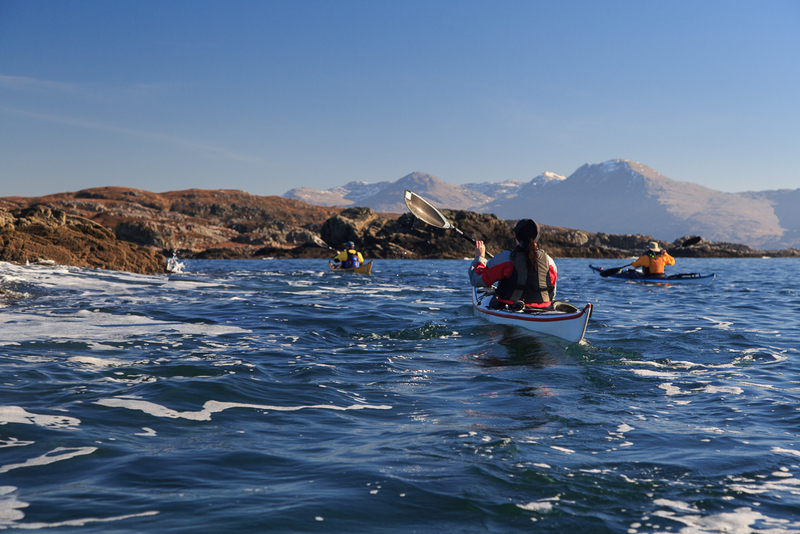 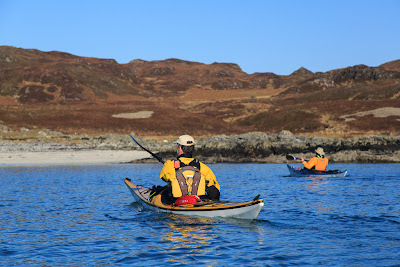 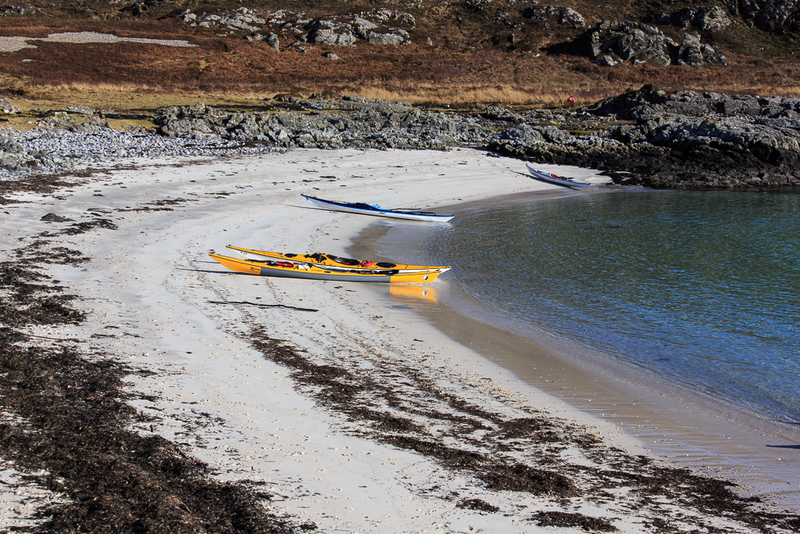 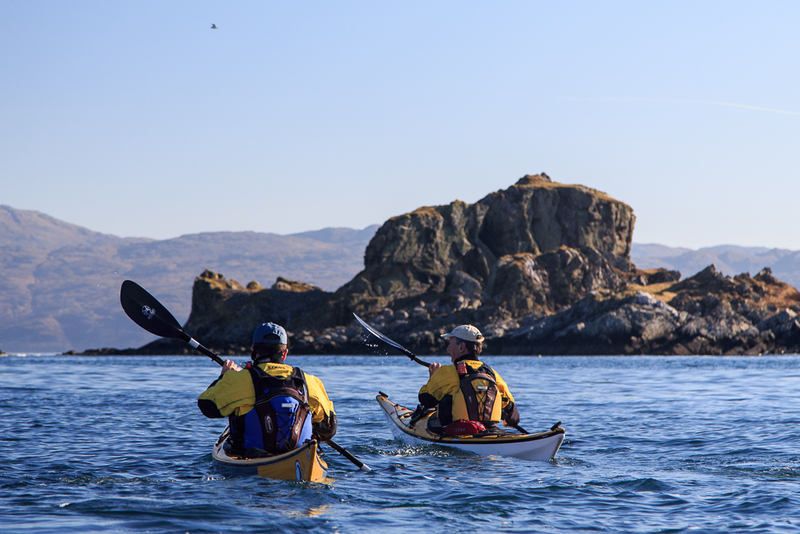 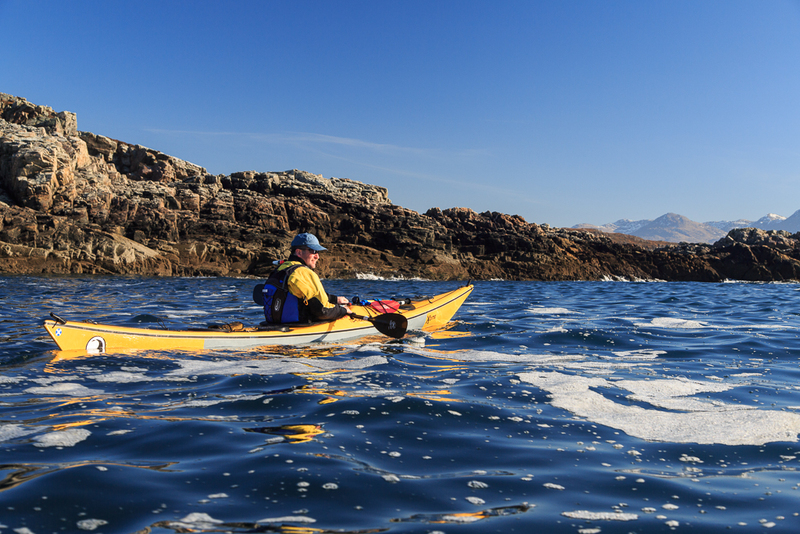 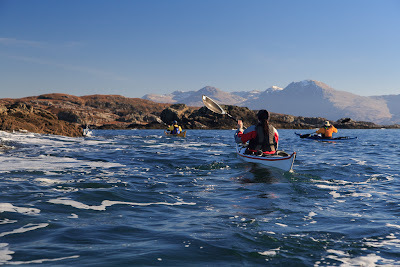 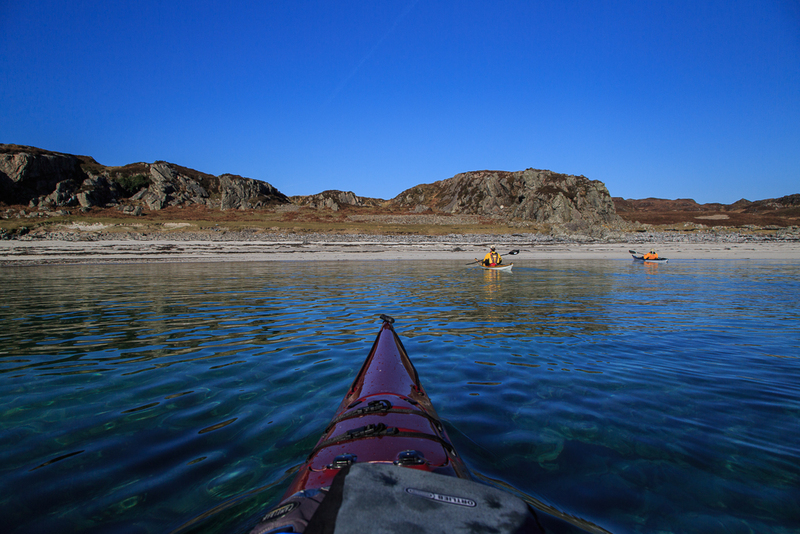 Of vitrified hill forts and vitrified kayakers..
...along the north shore of the sound of Arisaig. 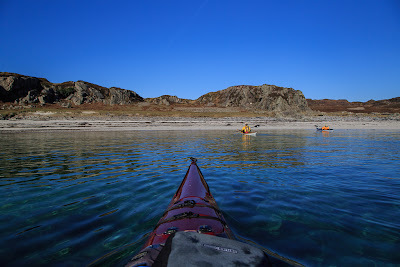 The white shell sand had given way to dark rocks and reefs. 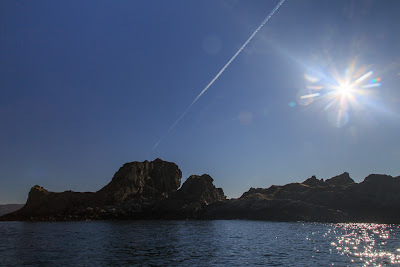 ..the remains of a vitrified Iron Age hill fort perched on its summit. Whoa!!! 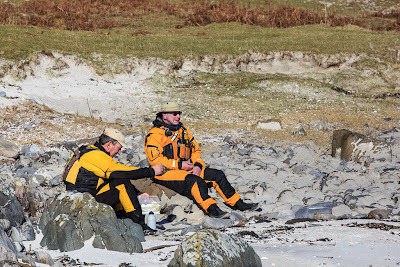 Time for second luncheon.